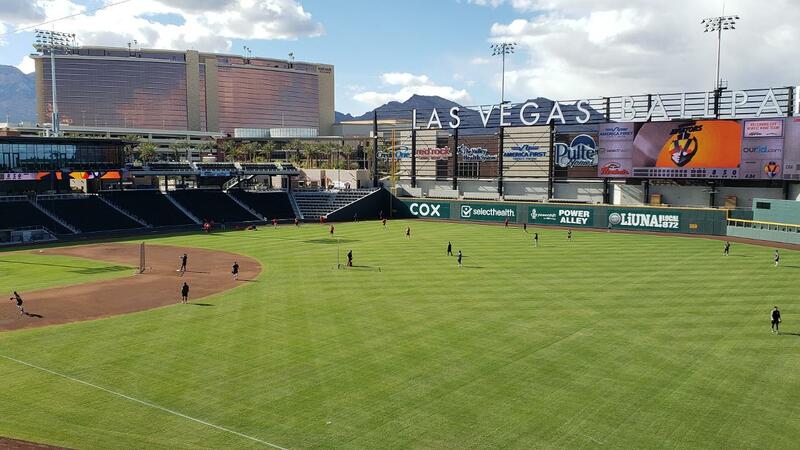 Las Vegas, Nevada (Saturday, April 13) - Despite Yadiel Hernandez's club-leading third home run (opposite field solo shot in the second inning), the Fresno Grizzlies (5-4) dropped their third straight game on this road trip by a 6-2 final. The Las Vegas Aviators (9-1) have yet to lose during their ballpark-opening seven-game homestand, with two more games remaining against the Grizz. Vegas jumped out to a 3-0 first inning lead thanks to a Seth Brown RBI double and a Corban Joseph two-run triple. Mark Payton, who already has 15 RBI in 10 games, added an RBI single in the second for the home side. Fresno's other run came on an Alec Keller RBI groundout in the third, after Taylor Gushue led off with a double. Gushue stroked two doubles on the night. RHP Henderson Alvarez, a veteran of 124 MLB games (118 stars) with Toronto, Miami and Philadelphia will make his season debut tomorrow for Fresno, after spending time at extended spring training. Alvarez, who was the Marlins' opening day starter in 2015, was a free agent signee of Washington over the winter. ON THAT FRES-NOTE: Fresno 1B/3B/OF Brandon Snyder was born in Las Vegas, despite growing up in Virginia. Why? Snyder's father, former professional pitcher Brian Snyder, was playing with the San Diego Padres organization in 1986 for the Triple-A Las Vegas Stars. The elder Snyder appeared in 17 MLB games for Seattle and Oakland before retiring as a player following the 1990 season. Brandon, a first round pick of Baltimore in 2005 (13th overall), has Major League time with the Orioles, Rangers, Red Sox, Braves and Rays.